I have been invited by Philips Malaysia to cook this Prosperity Lucky Rolls with the Philips Airfryer or Philips Airfryer with TurboStar Technology. The recipe is adapted from Chef Amy Beh with some modification. The original recipe does not include five-spice powder. Adding it made it more like Penang Lor Bak (Five-spice Pork Rolls). Chinese New Year eve is just few days away. This is a delicious and easy recipe to make for a home cooked reunion dinner. 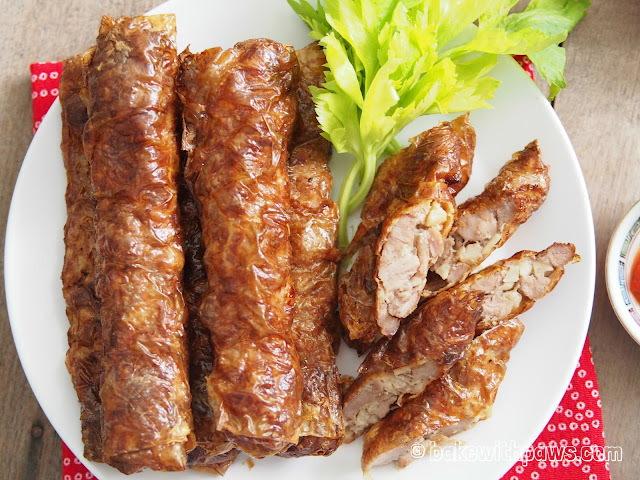 It is a healthier version without any deep frying and the result from using the Philips Airfryer with new TurboStar technology is crispy skinned lor bak with a succulent filling. I hope these Prosperity Lucky Rolls will bring you lots of luck and prosperity. GONG XI FA CHAI! 1. 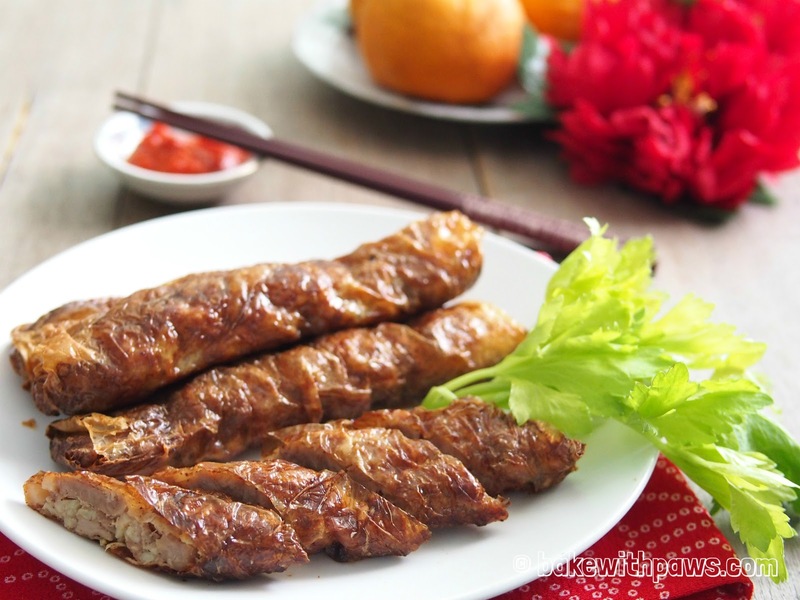 Season pork strips with combined marinade. Stir to mix well. Leave the marinated meat in the refrigerator preferably overnight for the flavour to develop. 2. Put some filling onto a piece of bean curd sheet skin and roll up neatly. Seal the sides and end. 4. Arrange the meat rolls on the Philips Airfryer or Philips Airfryer TurboStar wire basket and fry at 160°C for 15 minutes or until meat rolls are done. Note: The roll will only stay crispy while warm.